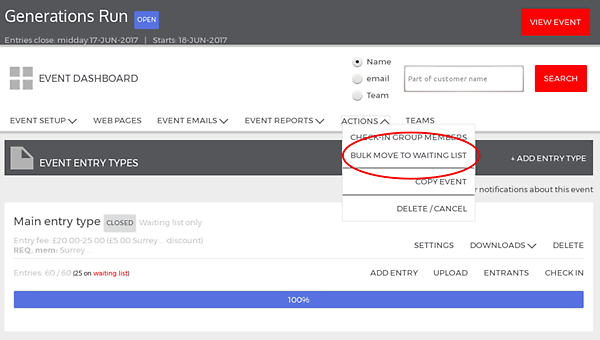 You can easily move an entrant from the main event to the waiting list (and back again). This works well if there are only a few, but if you have lots of entrants to move about, you might need a quicker way than doing them one by one. 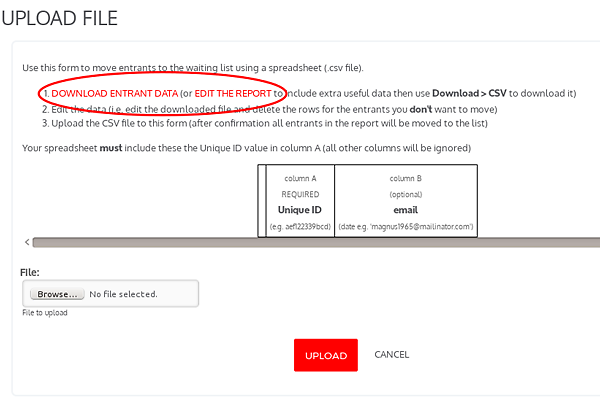 You can just download our 'default' spreadsheet with email address and unique ID. 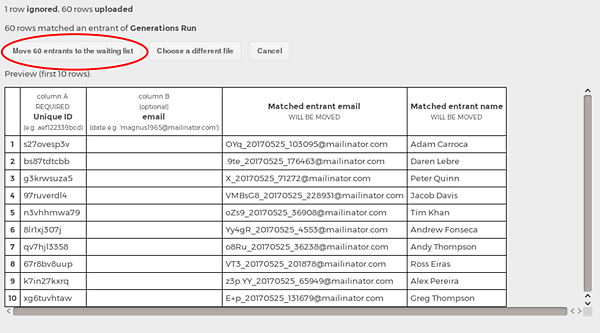 However, we ignore any data in columns other than A and B, so provided you make sure to keep Unique IDs in column A and emails in column B, you can use any custom report and include whatever extra data you need to help you sort through entrants on the spreadsheet.